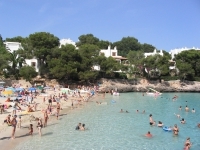 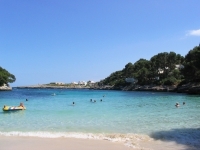 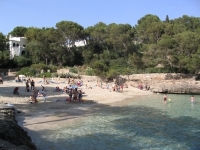 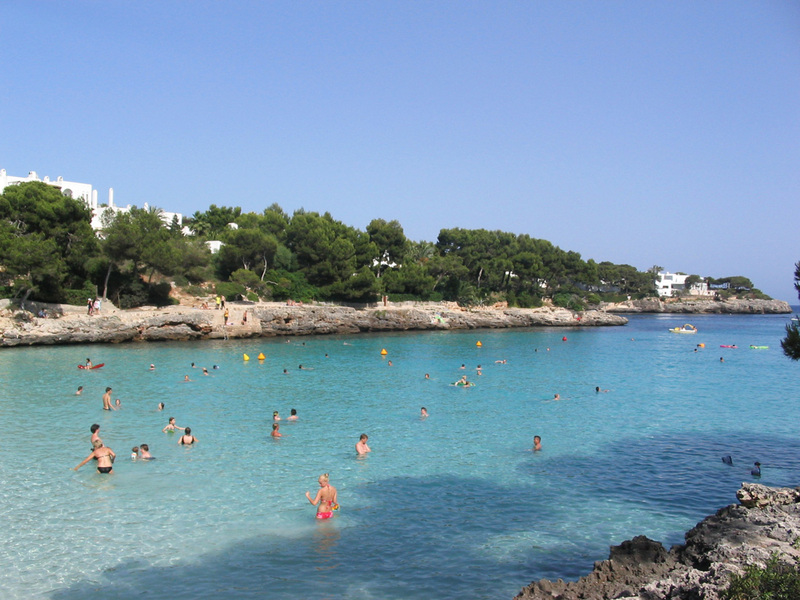 Cala DOr is a medium sized beach resort consisting of seven pictoresque bays. 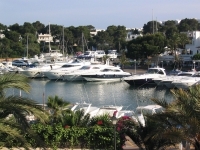 Six of the bays have their own small beach and the seventh bay a yacht harbor with fancy restaurants. 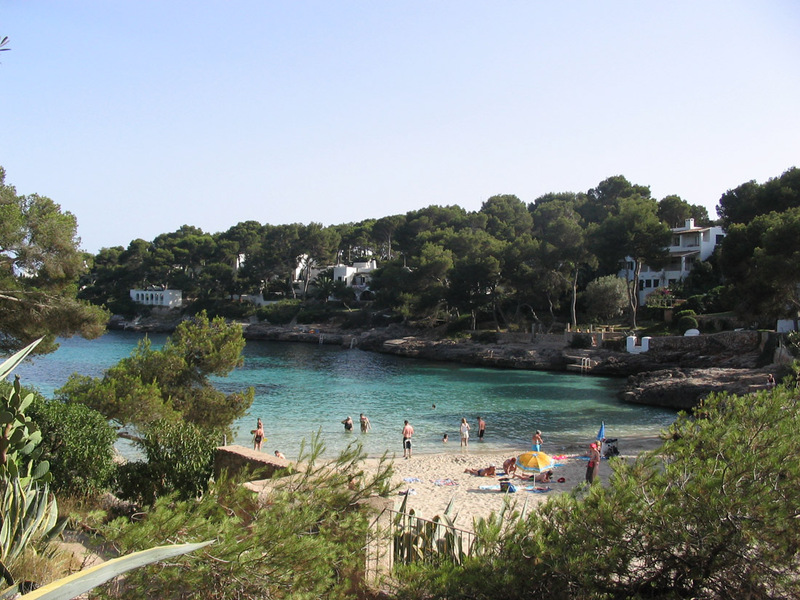 Cala DOr is a popular destination among central Europeans and it attracts families with children and those who wish to have a more relaxing holiday. 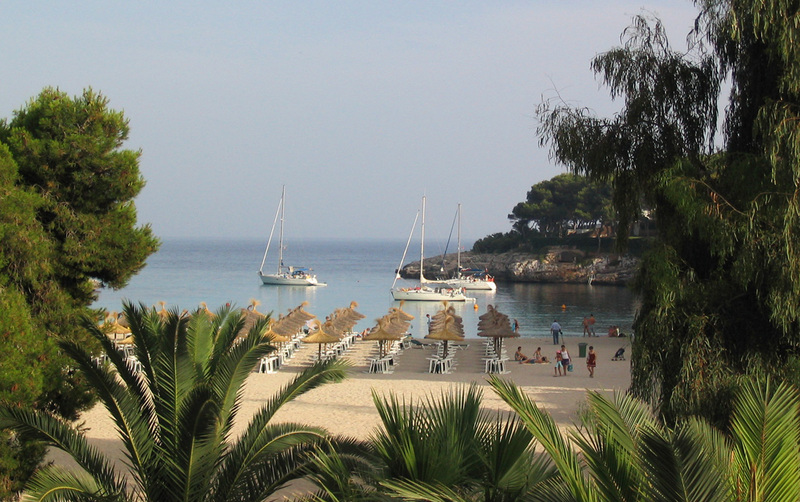 The resort is peaceful most of the year, but during the busiest summer months of July and August, the small town and beaches are bustling with tourists attracted to the destination by the beauty of its beaches. 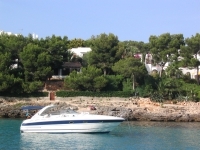 If you are planning to rent a villa for your holiday, Cala DOr is a great destination with many luxurious villas to choose from. 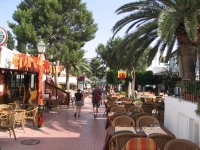 Cala DOr has a centrum area with many restaurants and shops, but the resort stretches about 3 km along the coastline from Cala Serena to Cala Egos and services are found also towards either end of the resort. The harbor bay of Cala Llonga stretches over 1 km inland, effectively dividing the resort in two - the old part with the centrum and the Cala Egos side, which is halfway between Cala DOr and the next town of Porto Petro. 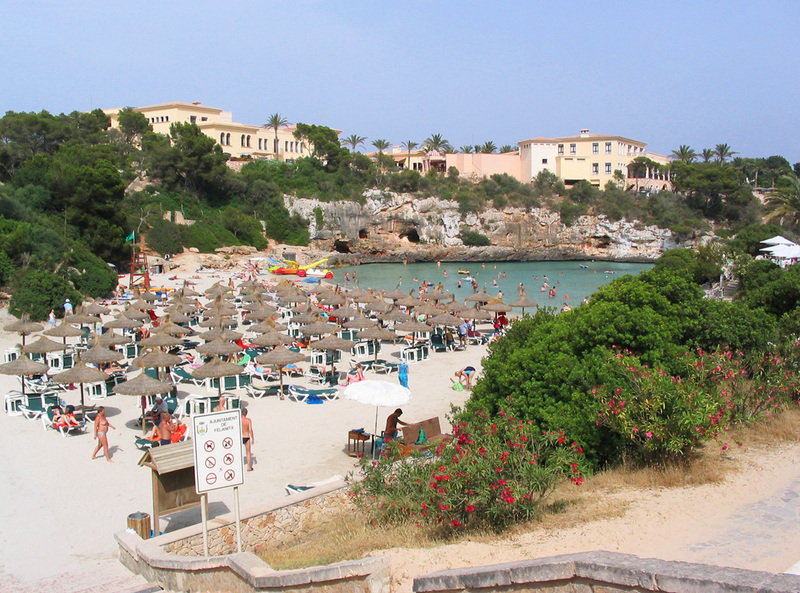 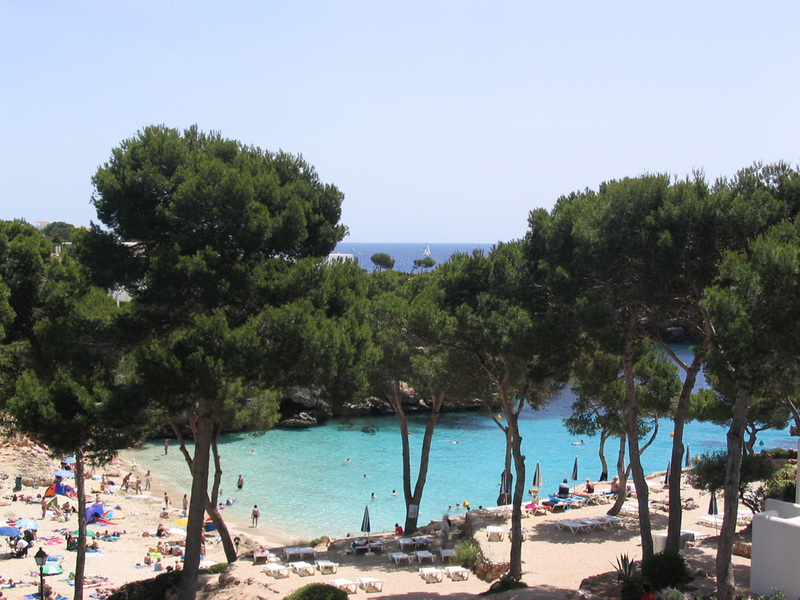 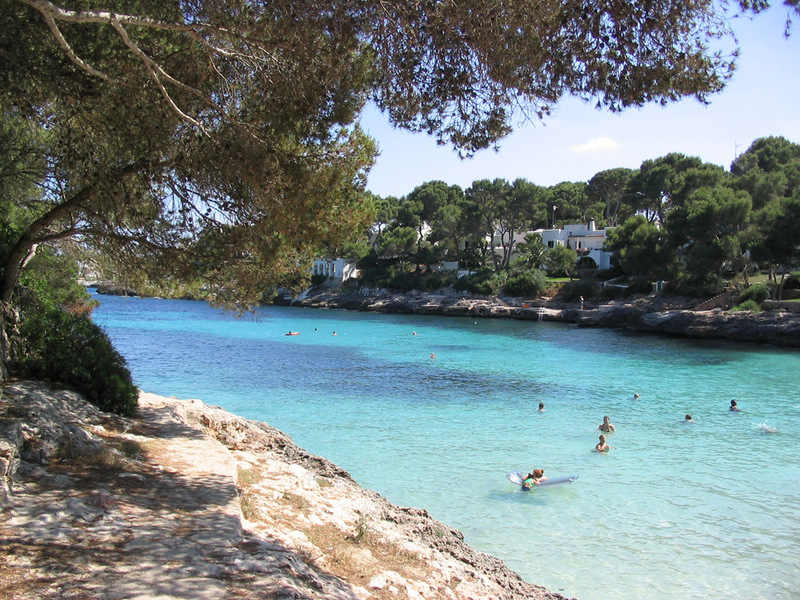 Cala DOr differs from the mass tourism holiday resorts with its overall style. Building heights are restricted, buildings are mainly built in white Ibizan style creating a unified look for the resort and the resort has lots of villas and private holiday homes, which makes the overall feel of the resort calmer and more sophisticated. Cala D'Or has lots of restaurants serving various types of food including Spanish, Italian, Mexican, Indian, Chinese, British and fast food restaurants. 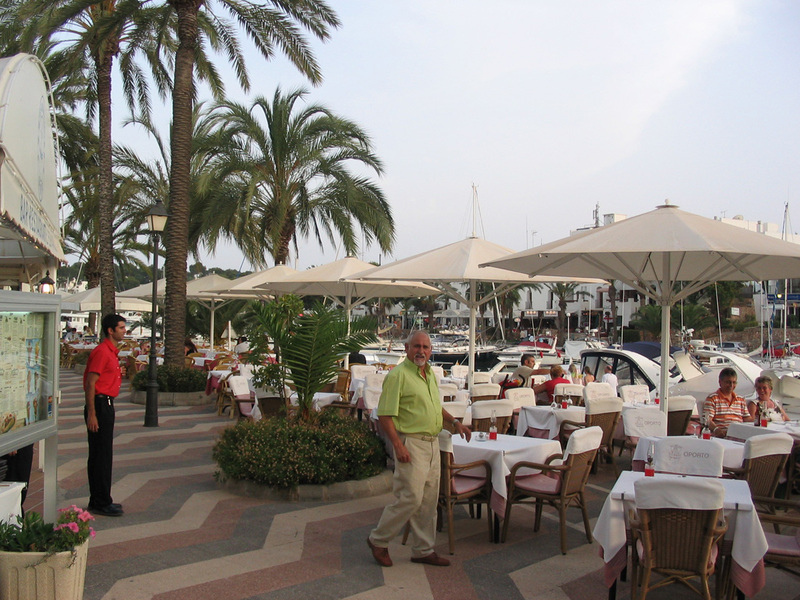 The harbor Cala Llonga offers a more high class selection of restaurants, many of which specialize in sea food. 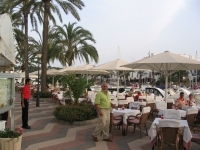 Some restaurants in the harbor are more expensive than those in other parts of the resort, but you can also find ones with the same price ranges as restaurants in the centrum. 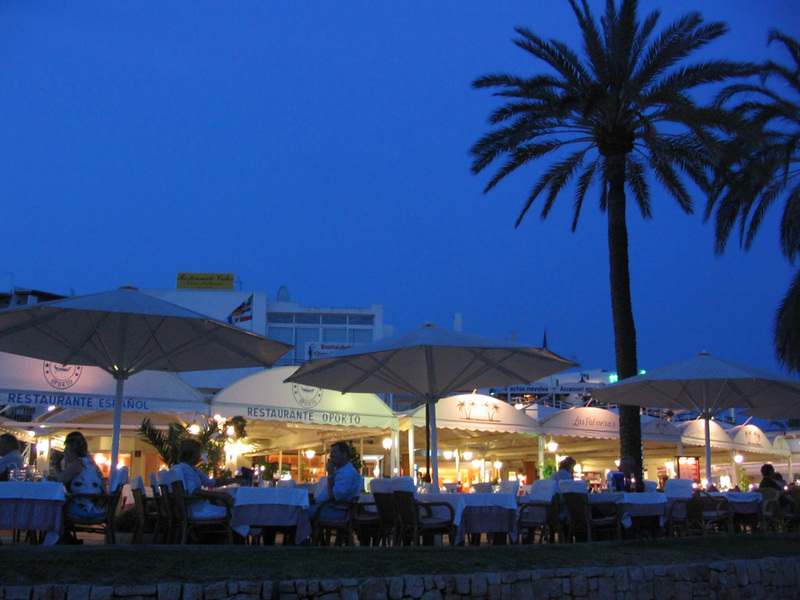 Cala D'Or nightlife is relatively quiet as Cala D'Or is mainly a family resort. 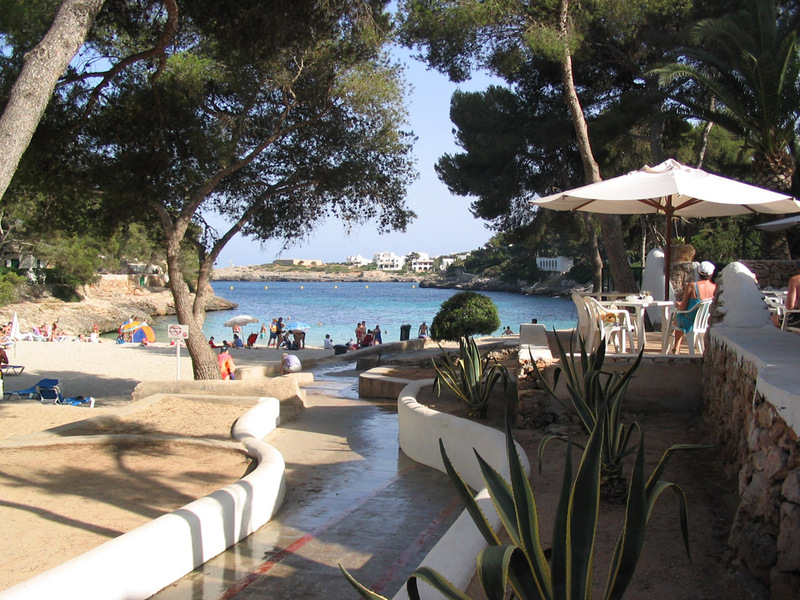 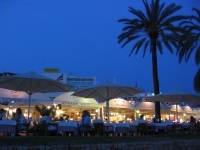 Cala D'Or centrum has several bars that are open till around 1am for those that want to socialize in the evening. 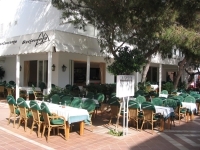 The Time Out Bar Cafe right in the middle of the centrum's restaurant region is one of the more popular places. 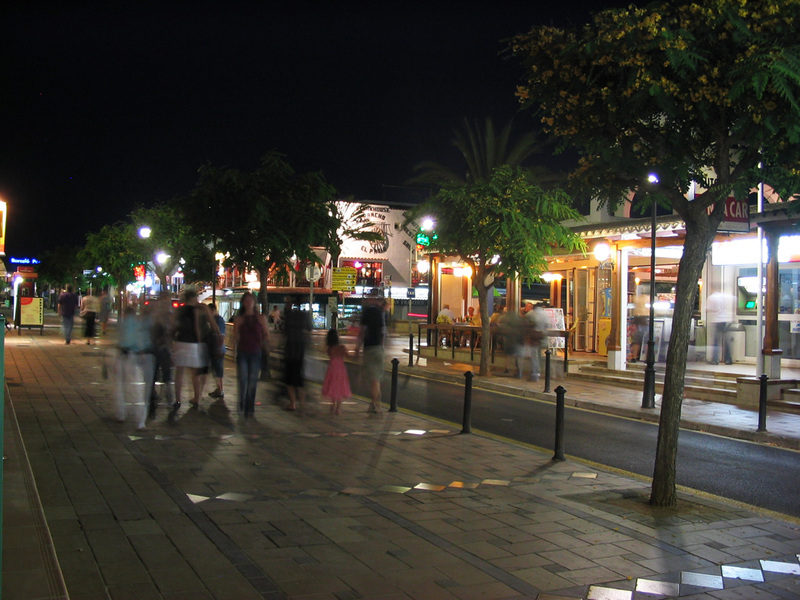 Disco Farrah's near Caprabo supermarket is one of the few places in town where the party goes on through the night till the morning. 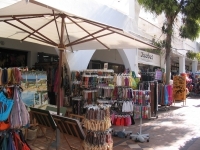 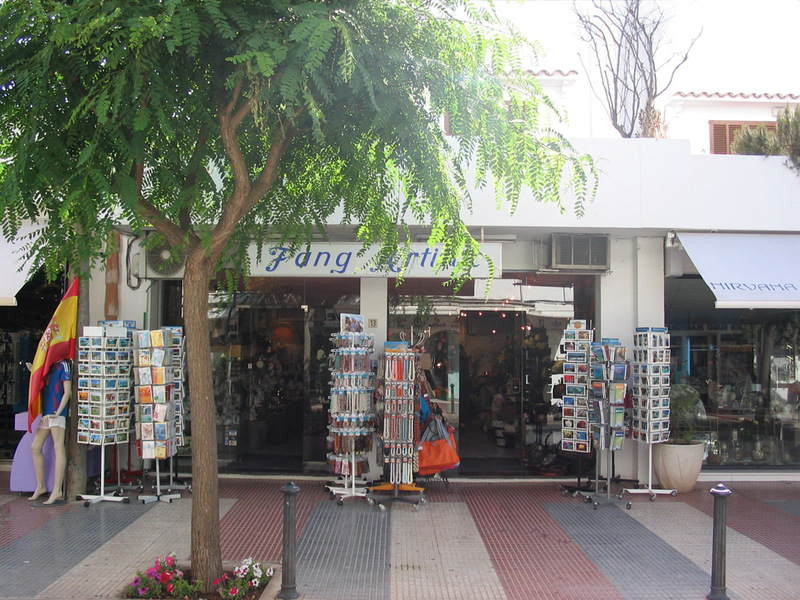 Cala D'Or has lots of shops for tourists offering typical souvenirs of ceramics, leather handbags, beachwear, beach toys, cosmetics, clothes to name a few. A relatively new addition to Cala D'Or is the internationally known Spanish clothing chain Mango. 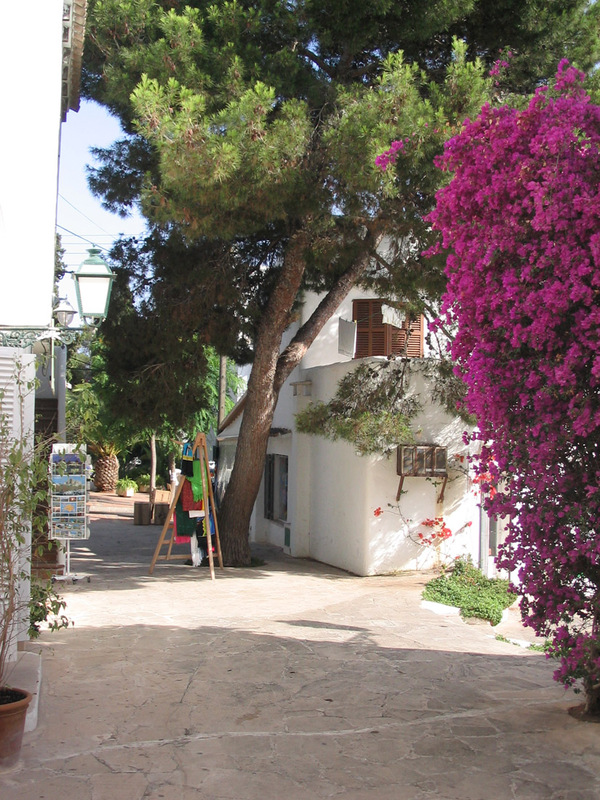 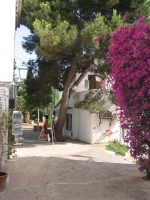 Cala D'Or has beautiful streets that are best explored on foot, but during the summer months of May - September there are also minitrains that go around the resort between Cala Serena, Eroski supermarket by the town centrum and Cala Egos. 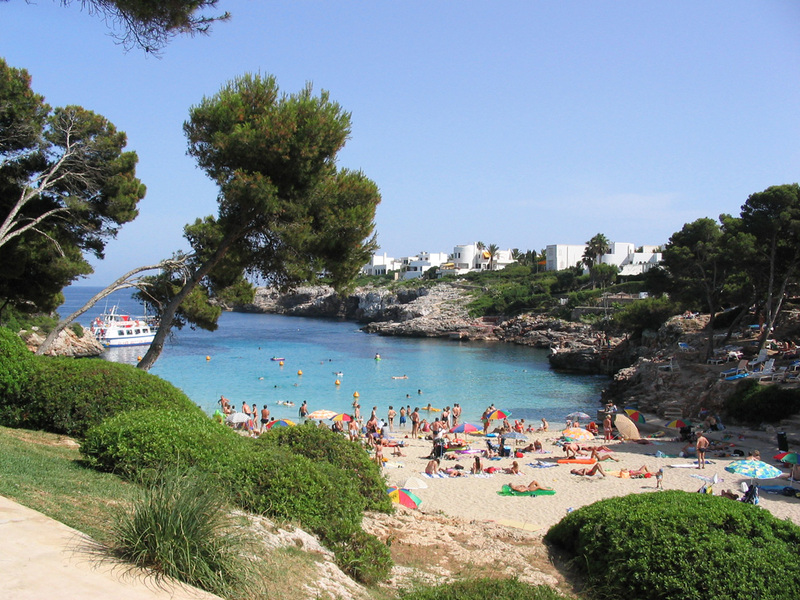 Public buses also go through Cala Egos and Cala D'Or centrum and continue on to Palma de Mallorca and Santanyi for example and Cala D'Or taxis cost about 5 euros for transport within resort. 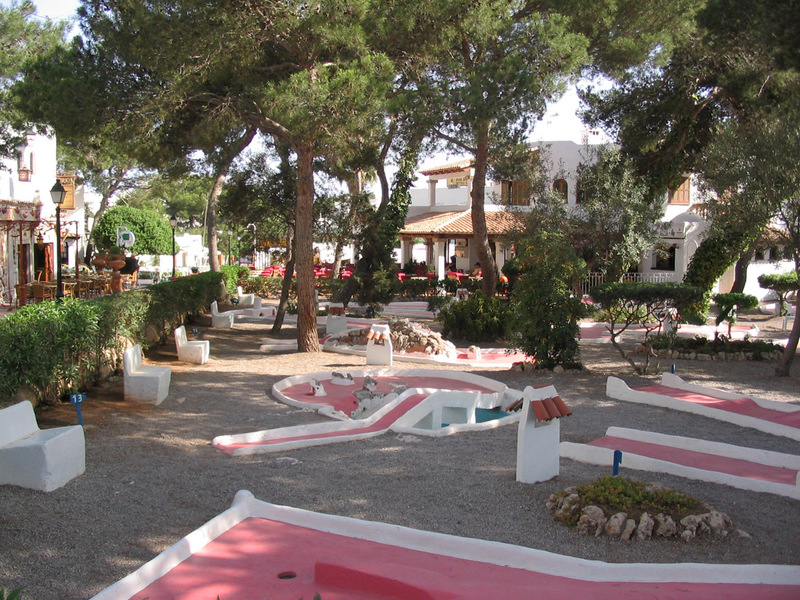 Bicycles and pedaling carts seating 2-4 people are also a fun way to get around the resort that is ecologically friendly too. 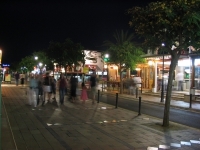 A car or motorcycle is not needed whilst in resort as the resort is not very big and there are numerous one way streets that can be confusing. 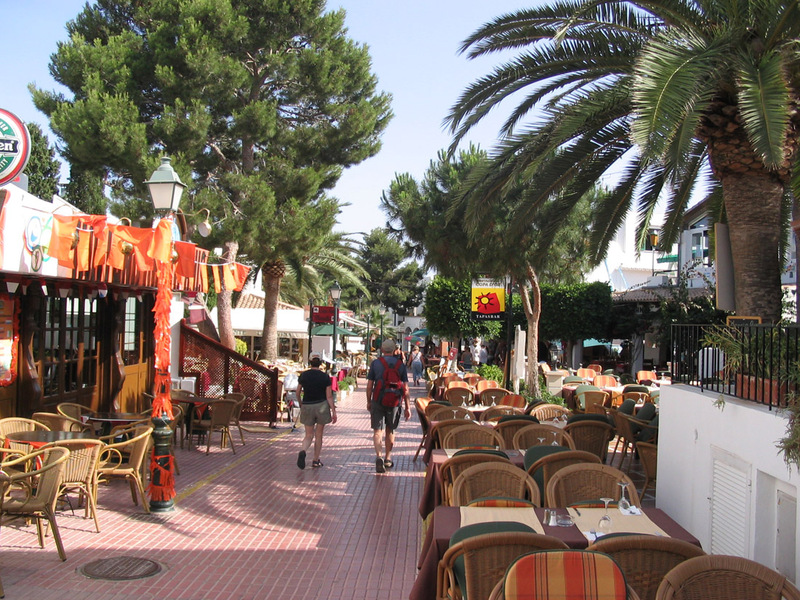 If you intend to explore the island outside of the resort a car or motorcycle provides you the freedom to explore places out of public transport's reach. 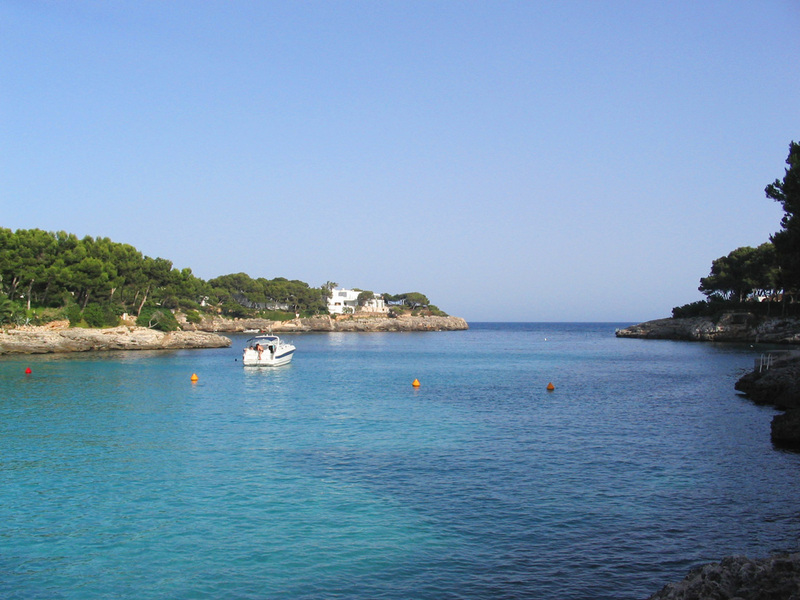 Cala D'Or taxis can also take you around the island. 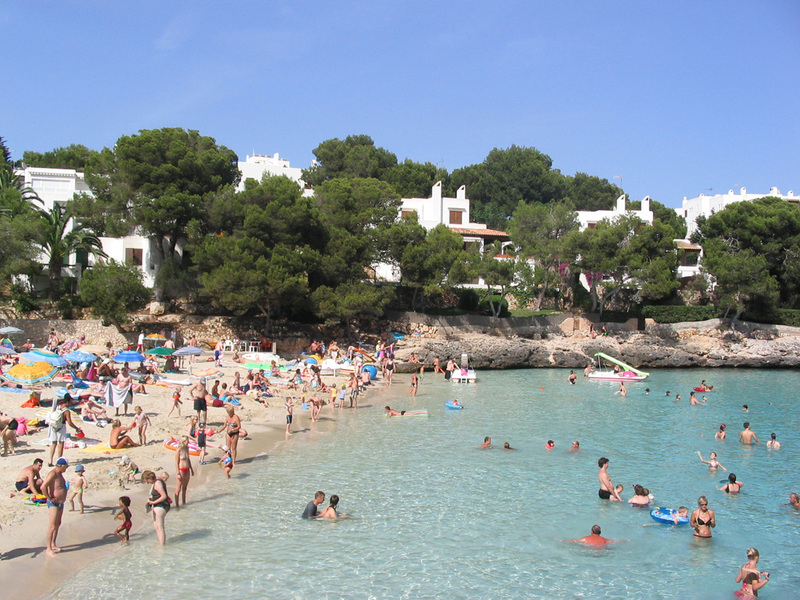 The price of a taxi from Cala D'Or to the airport during day hours is 57 euros. 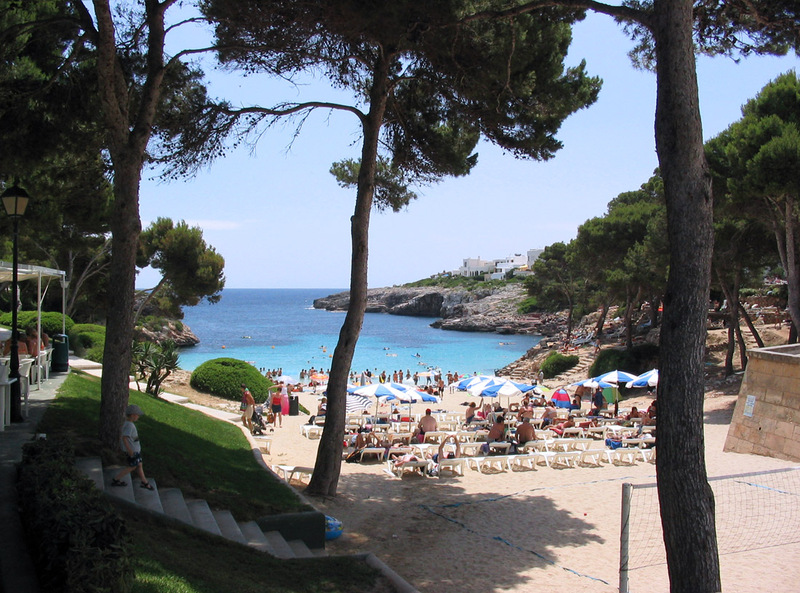 The best way to take care of your health while on holiday is prevention. 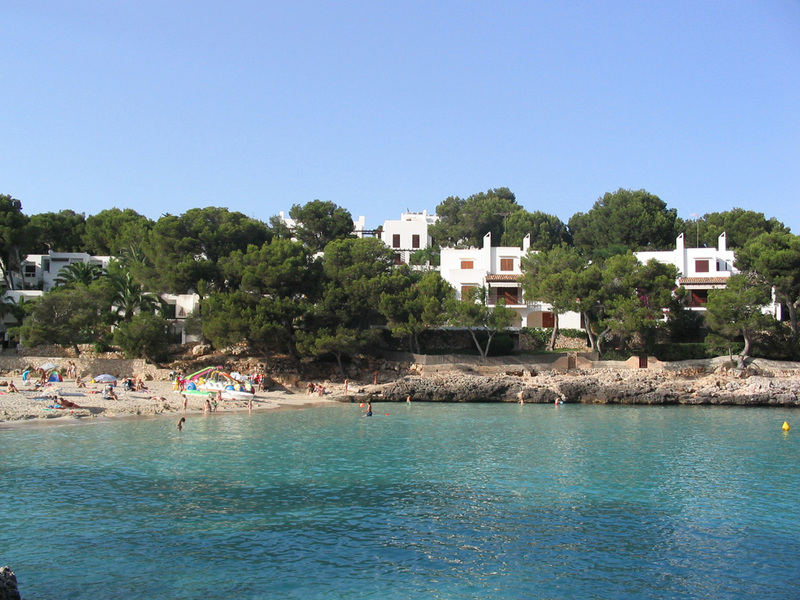 Many hotels in Cala D'Or have a doctor visit the hotel premises several times a week, but you can also go to the medical offices directly. 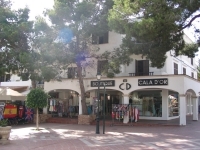 Asistencia Medica has three offices in Cala D'Or. 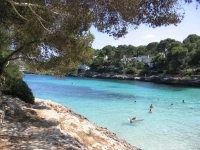 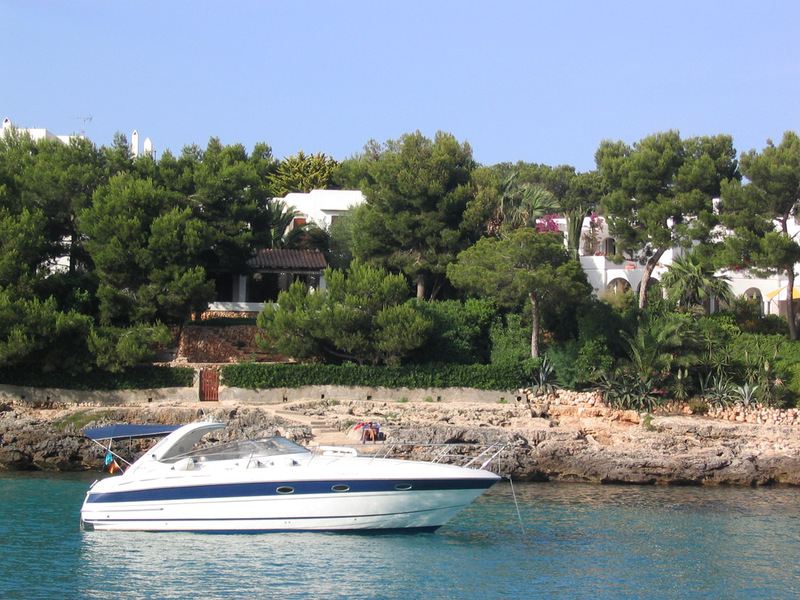 The nearest hospital is in Manacor about 30 km from Cala D'Or and approximately 30 min drive away.